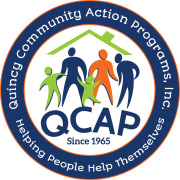 Quincy Community Action Programs, Inc. (QCAP) is seeking volunteers to assist in a variety of roles including Adult Education tutors, Classroom Assistants, and Tax Preparation support. We provide ESOL and Adult Basic Education classes and Job Readiness workshops to the residents of Quincy and surrounding towns. We also provide free tax preparation services to low to moderate income folks in the community. Volunteers should have a desire to help adults on their path toward skill building and economic self-sufficiency. Would you recommend Quincy Community Action Programs, Inc?